Heat the oil in a large pan. Add the chopped vegetables and fry for about 5 minutes until slightly browned. Add the vegetable stock and cook for another 15 minutes until all the vegetables are soft when pricked with a fork. Puree the soup in a blender and add the (soya) cream. Leave on the hob until it’s piping hot. 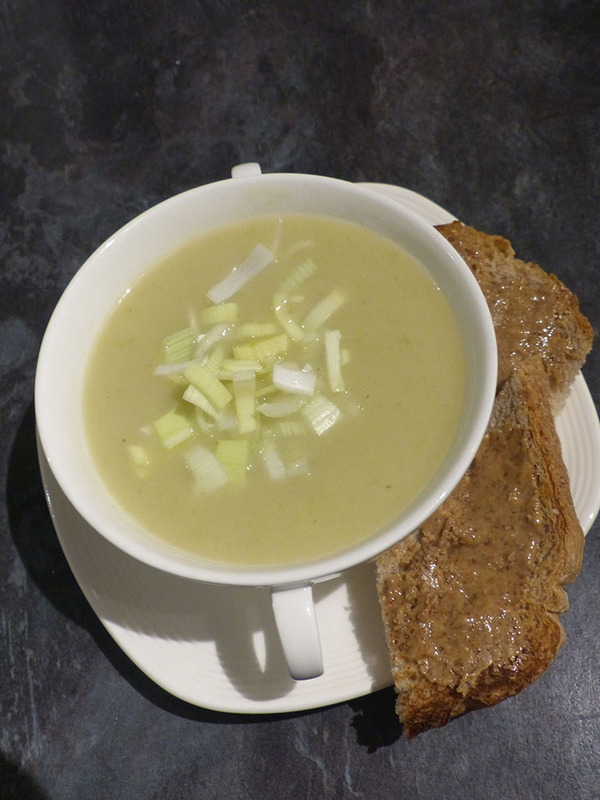 To serve, top with the white part of the leek and the finely chopped chives. Serve with crusty spelt or 100% rye bread spread with (dairy free) soft cheese for a complete meal.